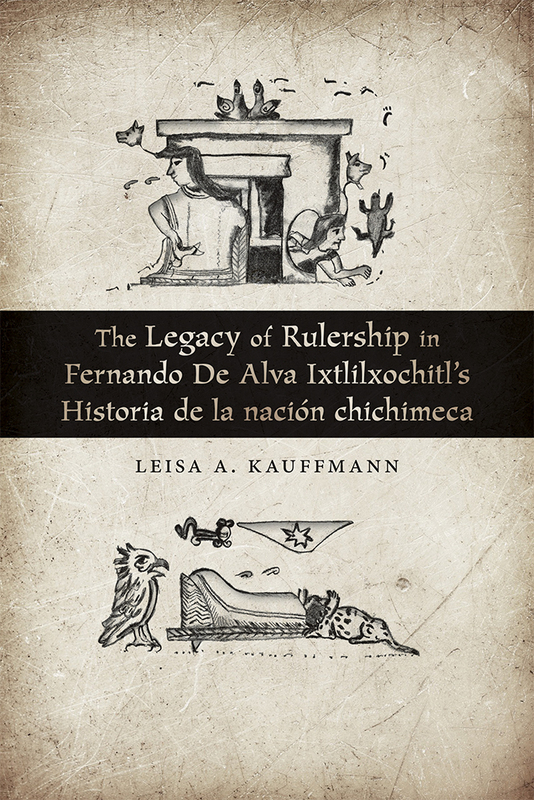 In this book Leisa A. Kauffmann takes an interdisciplinary approach to understanding the writings of one of Mexico’s early chroniclers, Fernando de Alva Ixtilxochitl, a bilingual seventeenth-century historian from Central Mexico. His writing, especially his portrayal of the great pre-Hispanic poet-king Nezahualcoyotl, influenced other canonical histories of Mexico and is still influential today. Many scholars who discuss Alva Ixtlilxochitl’s writing focus on his personal and literary investment in the European classical tradition, but Kauffmann argues that his work needs to be read through the lens of Nahua cultural concepts and literary-historical precepts. She suggests that he is best understood in light of his ancestral ties to Tetzcoco’s rulers and as a historian who worked within both Native and European traditions. By paying attention to his representation of rulership, Kauffmann demonstrates how the literary and symbolic worlds of the Nahua exist in allegorical but still discernible subtexts within the larger Spanish context of his writing. Leisa A. Kauffmann is an associate professor of classical and modern languages, literatures, and cultures at Wayne State University.